Beautiful views! Eclectic design with too many interesting features to list them all. Multi-level brick home built in 1989 with circular drive, beautiful mature trees and driveway access to backyard with lots of room for parking. 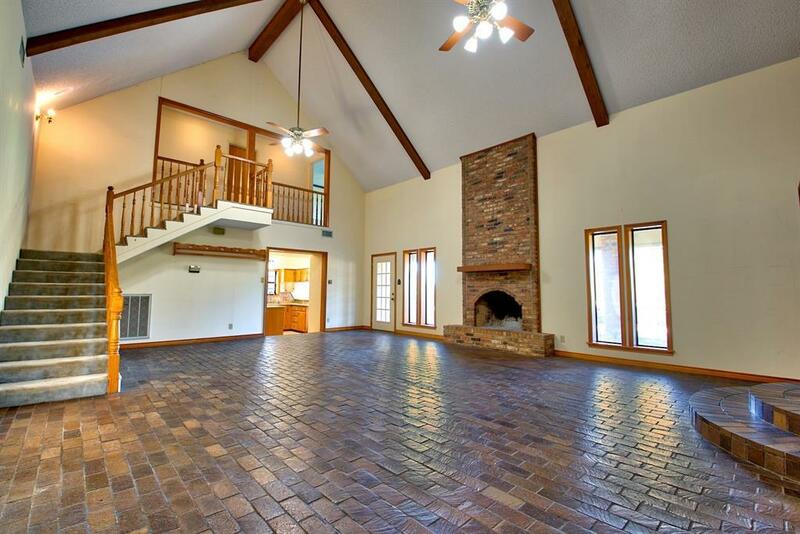 Enter Living Room and Dining Area with cathedral wood-beamed ceiling and brick floor. Kitchen island with cook-top, granite counter-tops and plenty of storage. Breakfast room is off Kitchen. 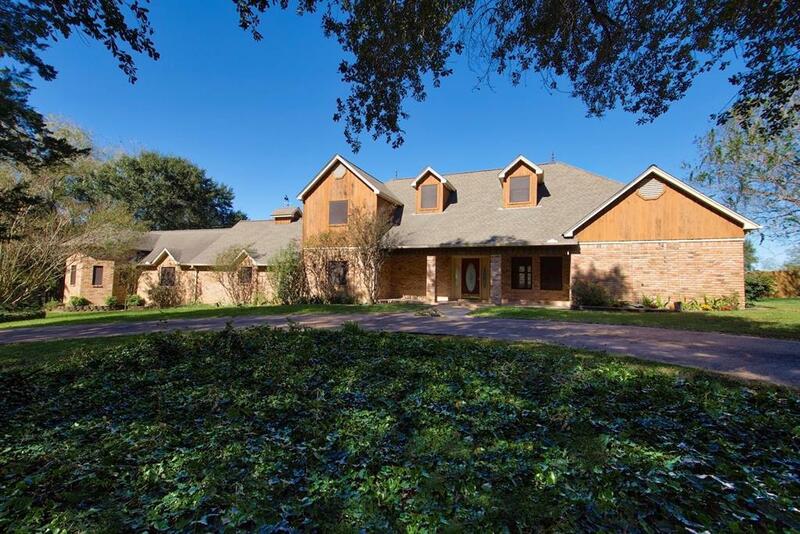 Master Suite on first floor with separate tub and shower, walk-in closets and utility room with sink and room for freezer. Master bedroom downstairs with vaulted ceilings and large master bath and closet area (double sinks, walk-in shower, garden tub). Two more bedrooms and bath upstairs. 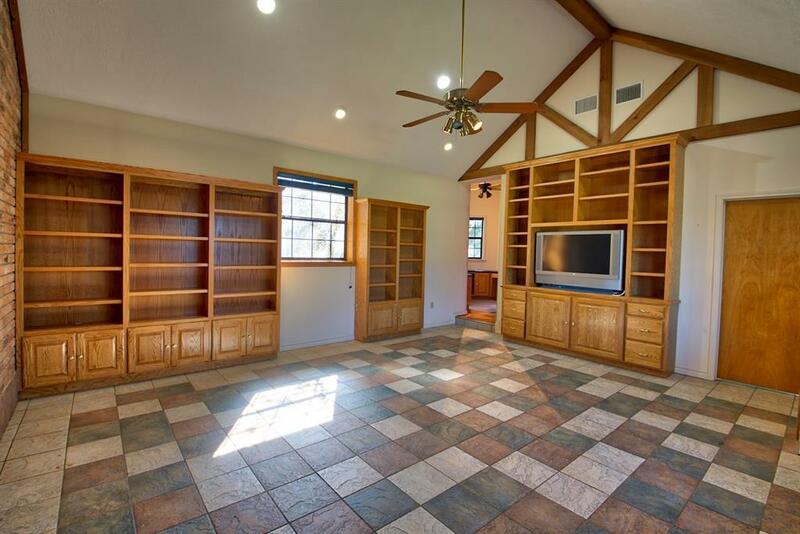 There is a "Man-Cave 20'x17' addition with soaring beamed ceiling with wall of bookcases, turret office 10'x10' with built in desk and separate storage room 13'x7' with back door to driveway. 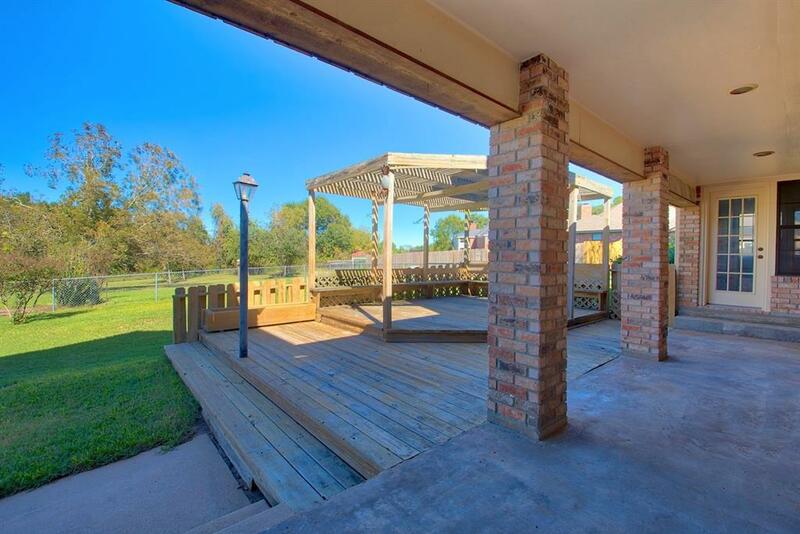 Part of backyard is fenced for pets and wood deck with pergola off back porch.